"Circular" Polishing & Buffing Pad Cleaner. 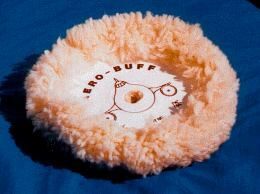 The "Aero-Buff" Circular Polishing/Buffing pads. 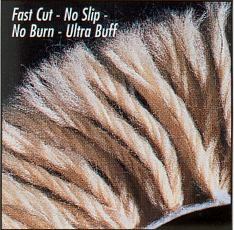 *Fibres are woven into canvas then bonded to a flexible SURLYN®** backing for exceptional durability & longevity. **(SURLYN® is the same product that covers golf balls and is used in the production of bullet proof glass. SURLYN® backed pads last twice as long as conventionally backed pads.) SURLYN® is a registered trademark of DuPont. Lake Country uses ONLY the highest quality components, in the design and manufacture, of all their products. The "SNAPPY CLEAN" Industrial Pad cleaner model, in some of the pictures below, is no longer available. It has been replaced by the SYSTEM 2000" PadWasher (Directly Below). Please contact us for details. Easy as A B C D or 1234. Open the doors, insert Polisher head with pad, Close doors, Clean the pad, Back to work! all in 30 - 40 seconds! The SYSYEM 2000 pad cleaner, (Developed from the original Lake Country's SNAPPY CLEAN) is a remarkable tool that will, safely, quickly & COMPLETELY clean dirty, "clogged" polishing pads, without having to remove the pad from the polishing machine. (Properly cleaned pads will not only extend the life of the pad but maximize pad performance, plus, a clean pad can virtually eliminate "swirl" & polishing marks.) . * Powered by the polisher itself, (electric or air). * Takes any pad up to 10 inch diameter. * Works equally well with "foam" type pads. The CLEANER the pad, the QUICKER, EASIER and BETTER, the final finish. Below are pictures of heavily oxidized red paint and how the SYSTEM 2000 Industrial pad cleaner cleans the pads (in this case the AEROBUFF 99747) so effeciently. Also note, there is no evidence of the dreaded "SWIRL" Marks on the finished surface, (the"lines" you do see, are a reflection of the corrugated wall behind.) The pads are now ready to continue on and absorb more polish and oxidation. All this, in under 30 seconds,without removing the pad from your machine. Less than30 seconds in the SNAPPY CLEAN and the results are pretty clear! PLEASE NOTE: The "SNAPPY CLEAN" unit is no longer available. It has been replaced by the PadWasher 2000. For customers in the U.S.A. please call Mr. Scott McLain (x 9824) Tel# (800) 648-2833 or (262) 367-8395 or eMail @ scott@lakecountrymfg.com (Please mention this web page when contacting, Thank You).